The International Selkirk Loop has recently completed an online traveler survey that provides valuable information to the member communities and businesses of the Loop. The survey asked thousands of travelers a variety of questions concerning interests while visiting the area, planning preferences and spending habits related to the economic impacts this All American Road Scenic Byway brings to the region. The results of the survey not only provide the ISL with the demographics of travelers visiting the area, but also provides them with insight as to how to support those travelers interests while they are here to encourage them to stay in the area longer. Knowing who the ISL is marketing to has been key to their past success and will again dictate any necessary changes to their marketing strategy. Results - Our travelers are well-educated, affluent baby boomers between the ages of 40-69; 50% of whom are planning to spend 3-5 days traveling the Loop. They are a web based travel culture – 94% are used to booking accommodations online, 40% of whom plan their trips 2 months or less prior to departure. This survey group (5,371 people) spent over $4,860,000.00 while visiting the area. Predominantly a rubber tire market with emergent modes of travel trends in bicycle and motorcycling touring. 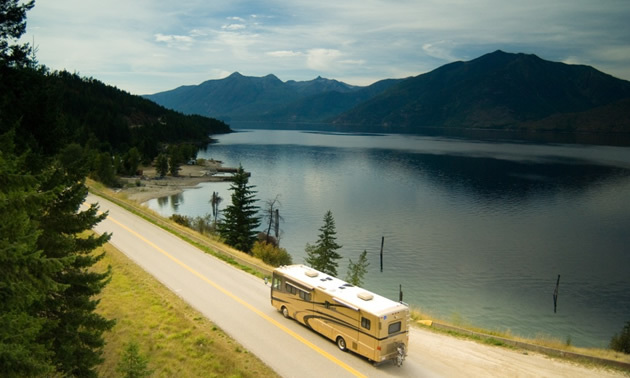 Fuel costs may be a factor, although RV travel remained at 10%, which is the same as an earlier survey. Accommodations in the B&B/Cabins are now equal to hotels and motels. Hiking continues to be the most popular activity for travelers looking to visit the area and the ISL’s hiking maps are a top request from area businesses. Wildlife viewing has also always been a popular activity for travelers, however this survey showed an increased interest in bird watching. Another emerging activity that we have not seen before is an increased interest in museums, cultural/historical sites. The International Selkirk Loop is a 280-mile/450-km scenic drive encircling the Selkirk Mountains in northeast Washington, northern Idaho and southeast British Columbia. The Loop was established in 1999 as a non-profit corporation designated to enhance the local economy through the promotion of tourism along its route. For more information on the International Selkirk Loop and to join.